The SAVY Lot app and desktop portal provide digital real-time lot management and security for your entire inventory–resulting in a truly engaged sales team that delivers the vehicle buying experience your customers expect. 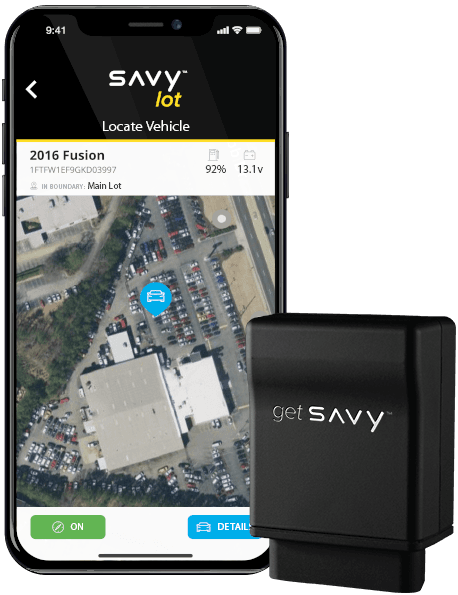 At the point of purchase, SAVY Lot switches to SAVY Driver—transforming into your ultimate customer retention tool and connected car experience. © 2018 Automobile Protection Corporation – APCO. EasyCare® is a registered trademark of Automobile Protection Corporation – APCO. © 2018 The Dave Anderson Corporation, All Right Reserved.